New Turnkey CCTV Surveillance Solution, GuardianVMS™ Web Based Industrial Enclosure with Complete Video Management System from Kletos Communications, Inc.
Kletos Communications, Inc, based in Tampa, FL, recently announced the availability of their new Portable Turnkey CCTV Surveillance Enclosure. Their new All-in-One Surveillance Solution has a Built-in Security Camera, 4G Wireless Networking, a Video Recorder, a Temperature Control System, and Built-in Battery Backup Power. The enclosure's portable self-contained design is optimized for Police Departments and Security Professionals needing a quick deployment Surveillance Solution intended to deter crime and aide in investigation. 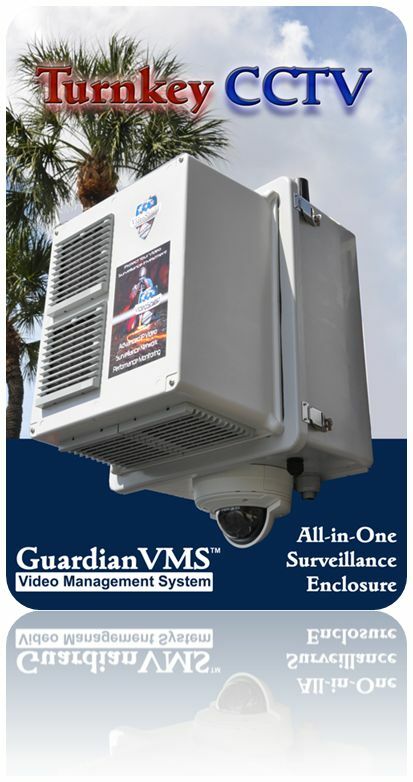 The GuardianVMS Portable Surveillance Enclosure with Built-in 4G Wireless, a Security Camera, a DVR, Battery Backup Power, and Temperature Control is hands down the Most Advanced Turnkey Surveillance Solution, Enclosure All-in-One on Earth. The new GuardianVMS™ Industrial Enclosure and Video Management System (VMS) by Kletos Communications, Inc., http://www.kletos.net, seems to have it all and that's a big understatement. This new, easily portable, All-in-One 3G/4G Wireless Industrial Surveillance Enclosure has a Universal Power Supply (UPS), Network Switch, Internet Temperature Controller, Sensors measuring Ambient and Internal Temperatures, and includes Built-in Thermal Cooling/Heating, automatically adjusting to the environment designed to keep equipment running for years. The GuardianVMS™ Industrial Enclosure can even be set to send an email or page when the door is opened. 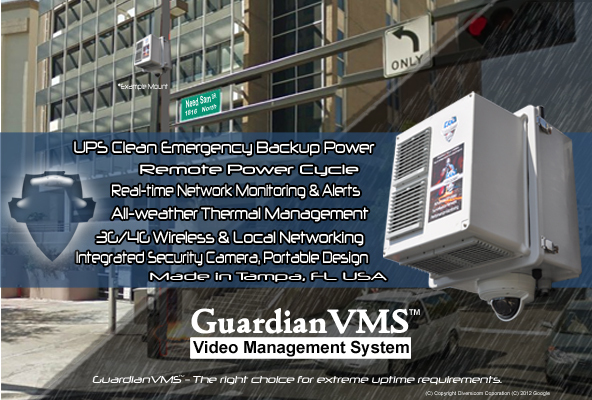 Developed by a team of engineers in Tampa, FL with an extensive 25 year background in City Wireless Broadband Networking, Computer Information Systems, Microcomputers, and Development, and Large Scale Network Management, the GuardianVMS™ Industrial Enclosure is an incredible achievement in versatility and design and is unmatched in quality and superior capabilities. The Kletos team developed the GuardianVMS™ so that as soon as the Enclosure is plugged in it begins recording video. It has a complete Video Management System (VMS), already running inside and Video can be viewed Real-time through a Web Browser, or recorded Video can be downloaded directly to a computer either using the Built-in 4G Wireless connection or a Local Network. The system was especially designed with high uptime requirements in mind. With built-in Battery Backup Power and Surge Protection the system remains available even under extreme climate conditions. The new turnkey system has all the features needed to assist in Surveillance investigation and help deter crime 24x7. 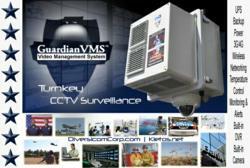 GuardianVMS™ is a Surveillance Tool Police Departments and Security Professionals will be glad to have in their arsenal. Kletos is owned and operated by Army Veterans with an extensive background in Technology Infrastructure Management, Wireless Network Deployment, and IP Based CCTV Integration. The engineers at Kletos aim to simplify extremely complex technologies and streamline advanced integration and project management for Security Integrators, Police Departments, Airports, and Homeland Security. ©Copyright 2011-2012 Diversicom Corporation. All rights reserved.